Flexible contract maintenance whatever the application. PJT Pumpcare - the pump and pumping station maintenance scheme that can match the high technology the manufacturer has built into its product coupled with customer service and safisfaction. PJT has designed a range of planned maintenance programmes, which will ensure that our customer's plant or pumping staions is inspected on a regular basis, thus continuing reliable and efficient operation. Our range of Pumpcare maintenance schemes are available in three unique formats, providing the flexibility to suit both private and corporate customer requirements. In addition special bespoke contracts can be arranged to suit unusual to suit unusual circumstances or requirements so that the variations of equipment installed can be accommodated. Under Pumpcare Premium, you can expect one complete routine service with all pump spares included. Pumpcare Premium gives an accurate yearly maintenance budget costing. The only extra costs would come from replacement of parts damaged by misuse, neglect, blockage or vandalism. Any breakdowns between regular services are covered, so really can leave all the maintenace to PJT Ltd. If your pumping station is not of the size or type to warrant a full Pumpcare Premium contract, the Pumpcare Intermediate option may be more appropriate. For one payment you will receive one maintenance visit from our engineers to give your equipment a thorough service. Routine maintenance spare parts are included but limited to impeller, wear rings, 'o' rings and oil. This way you have the comfort of knowing that as the prime wear parts wear out they will be replaced. A basic contract allows for one annual maintenance visit. All parts used and other site visits, etc are charged extra to the contract. Each flexible program provides a comprehensive 23-point checklist and report on the pump condition. Knowing that a pump's conditions and or efficiency is declining, provides the information needed to avoid sudden or catastrophic system failure and the subsequent and often costly crisis management needed to rectify the situation. Bespoke contracts can be tailored to suit specialist customer requirements e.g. 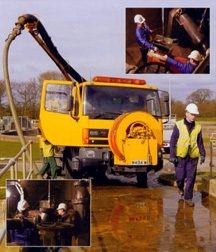 Energy Pump, industrial and building services, pump applications and systems. Condition Monitoring can also be developed and tailored as a valuable addition to a Pumpcare Service Contract. Outstation telemetry giving full 24/7 operational and alarm signals to a call centre can also be offered for full comprehensive option, designed to enable the customer to leave all maintenance needs in the hands of the experts PJT Ltd.
A pre-contract visit is necessary to ensure that the equipment is in suitable condition to be undertaken on a Standard, Intermediate or Premium Contract. Upon the customer's acceptance, and satisfactory completion of the same, we would be pleased to enter into a Pumpcare Service Contract.